Public Sector Banks are more strained than ever before, going by the recent Indian Express exclusive which talks on the stressed assets of Public Sector Banks. Public Sector Banks (PSBs) are banks where a majority stake (i.e. more than 50%) is held by the government. Public sector banks are sitting on over Rs 7 Lakh crore stressed assets. 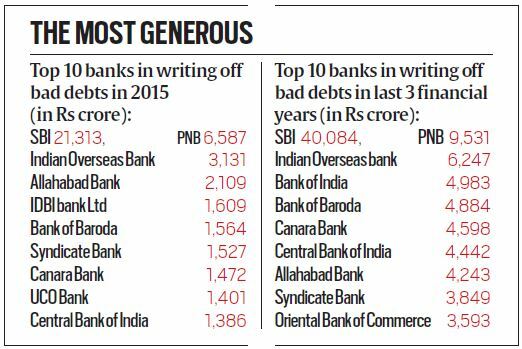 Bad loans written off by them between 2004 and 2015 amount to more than Rs 2.11 lakh crore. 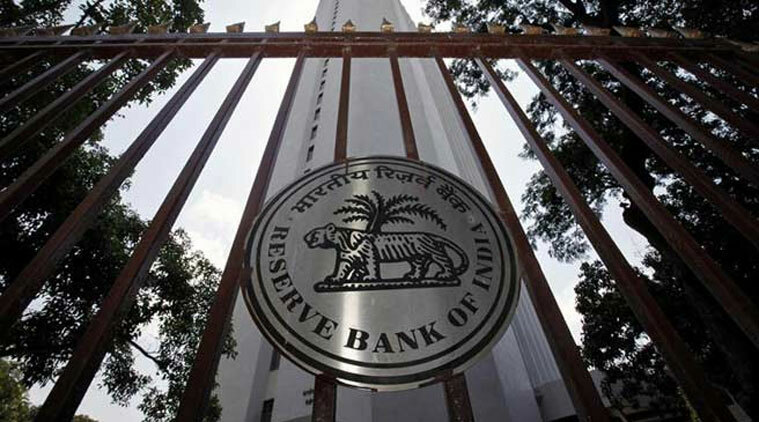 More than half such loans (Rs 1,14,182 crore) have been waived off between 2013 and 2015. Bank-wise break-up shows State Bank of India, India’s largest bank, is way ahead of others in declaring loans as unrecoverable, with its bad debts shooting up almost four times since 2013 — from Rs 5,594 crore in 2013 to Rs 21,313 crore in 2015. In fact, SBI’s bad debts made up 40 per cent of the total amount written off by all banks in 2015 and were more than what 20 other banks wrote off. 1.) Lack of Accountability – The decision making board contains representatives of the government and the banks among other stake holders. The decisions are taken arbitrarily without any accountability for the bad decisions taken. Take for instance King Fisher Airlines, SBI who had the biggest exposure among the public sector banks could recover only Rs 155 crore out of the Rs 1,623 crore. The money lost is the money deposited by individuals in SBI among others. There are many other examples where banks have lost money hastily with no one held accountable. 2.) Collusion – A CBI investigation into the Kingfisher debt revealed IDBI had extended loans up to 700 crores despite board members warning them otherwise. Besides IDBI, many of the banks have reached a dead end, total of 7,000 crores have vanished to thin air with no body being held accountable for the same. What is evident from the above Kingfisher example is that the people who are availing the debts simply wash their hands off besides pocketing a handful from the loans taken themselves. The Banks do their best to recover a part of the bad debt but in vain. The ultimate loss is of the depositor and the government. Since the government has majority stake in many of the banks, it becomes an obligation to re-infuse these banks with funds which in-turn are the tax payers money. What is evident is a structural siphoning off of public money with little or no accountability. The Logical Indian thanks The Indian Express for filing RTI and bringing this information to the public sphere. The Logical Indian is appalled by the spike in NPA (Non Performing assets) and bad debts of the public sector banks. We appeal to the government to make the public sector banks structurally incorruptible and accountable. We appeal to the RBI to set up an investigative body to look into all the bad loans and bring to books the people who had colluded for their own benefits at the cost of public money. Well written. Shocking numbers. As you rightly say, if it weren’t for the Indian Express RTI query we’d probably never have know about this rot. In this mayhem it’s commendable that State Bank of Saurashtra and State Bank of Indore have had zero bad debts or write offs in past 5 years. Both smaller banks. Reblogged this on Kamal Kothari. Sad situation for our Banks, almost irreparable unless urgent measures are taken. Thanks for highlighting this on your blog.